KIST Medical College (KISTMC) established in the year 2006 is affiliated with Institute Of Medicine (IOM) under Tribhuvan University (TU) in the Kathmandu Valley. The College runs a 300 bedded hospital equipped with state-of-the-art infrastructure and every modern facility. 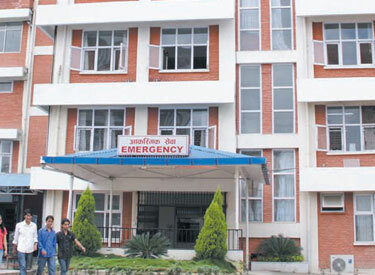 The college also has well equipped lecture halls, seminar rooms and basic medical science practical laboratories as per the norms of Nepal Medical Council (NMC).The aim of KISTMC is to be a reputed medical college both at the national and international level by bringing together the best of the curriculum in a serene academic environment through the dedicated professional services of competent and committed faculty and staff. Their management is always committed to take the services of the internationally renowned faculties from within and outside the country, for medical education of the highest order.